Kombucha is a fermented black tea beverage which is touted for its supposed health effects. Due to the fermentation process, it is slightly effervescent and has a sour taste. 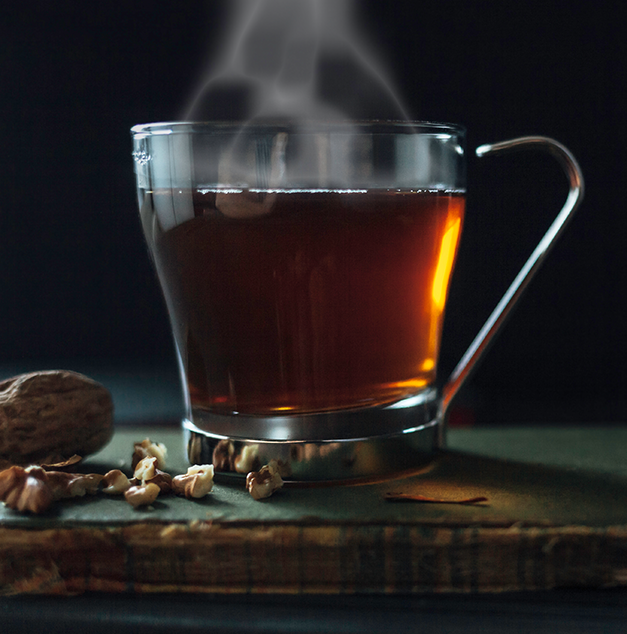 The drink became known in the western world in the 1990s after becoming popular as an alternative therapy. Since then, it has been adopted as a general tonic by a number of health conscious people, and mass production and celebrity endorsement has helped the tea to slowly shed its affiliation with fringe culture and move into the mainstream. The earliest recorded uses of Kombucha date back to China in the early 20th century. From there, the drink spread to Russia and Germany. Kombucha was seen as a health food, and it was brewed at home using the same method that is still used today. To brew Kombucha, a starter culture, which is a symbiotic combination of yeast and bacteria (also known as a SCOBY, mushroom or mother), is added to brewed sweetened tea and fermented at room temperature to near-completion, which usually takes about a week. The kombucha liquid is strained and chilled, and the pancake-shaped mat of bacteria and yeast is re-used in subsequent cultures. Starter cultures can be purchased commercially, but are most commonly shared between members of a community. An alternative to this process is to purchase ready made Kombucha - the number of manufacturers is increasing steadily. This is produced in a similar method to a home-brew and avoids many of the associated problems. Kombucha has many avid fans, and there is no shortage of testimony to the myriad benefits of this fermented drink. Originally taken up by cancer and HIV patients, it is now known as a "cure-all". Kombucha is known to be high in B vitamins and antioxidants, and there has been a small amount of research in rodents showing that Kombucha may have have some hepatoprotective effects (1). There is also some thought that kombucha can improve digestion, as it can contain high levels of beneficial gut bacteria like Acetobacter. It has been shown that kombucha can reduce the incidence of diarrhoea in poultry (2). B Vitamins and Antioxidants are important, both for muscle growth and recovery, as is overall good health. Kombucha may play a role in maintaining good health in bodybuilders and athletes. Kombucha is one of the most controversial functional foods around for a number of reasons. Firstly, there is no research conducted in humans that shows the benefits of kombucha. 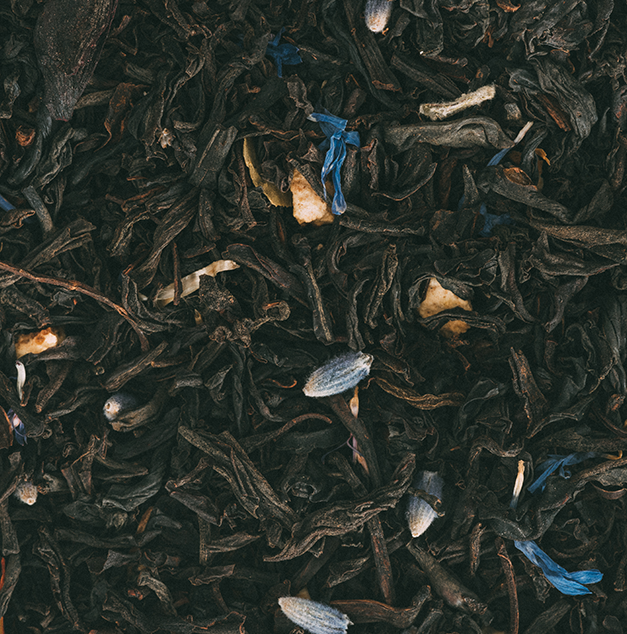 The vast majority of the research showing any hepatoprotective effect has been performed in mice and rats, and these benefits are similar to those found in unfermented green or black tea. Furthermore, there have been reports of kombucha causing liver damage in humans (3). Many of the negative effects are due to the home-brewing process. As this is a natural product, the composition of the starter culture can vary significantly. A weak culture can produce insufficient acid to prevent the growth of potentially toxic contaminants, while cultures that produce too much acid can cause severe, life threatening health problems, with one confirmed and two near-deaths reported as a direct result of kombucha consumption (4). In addition, the acid produced during the fermentation process can solubilize components of the brewing vessel, and there have been reports of lead poisoning as a result of consuming kombucha brewed in a ceramic pot (5). These problems can be avoided by drinking a comercially prepared brew, as manufacturers must be licensed by the relevant food standards authority and abide by minimum safety conditions and quality checks. Finally, a lot of people find the sights and smells involved in preparation of this drink very offputting, and the taste is disagreeable to most. The recommended dose of Kombucha varies between about 120 and 200mL per day, with some people saying this can be increased over time. It is important to note that the more serious side effects, including the confirmed death, are associated with higher doses (4). 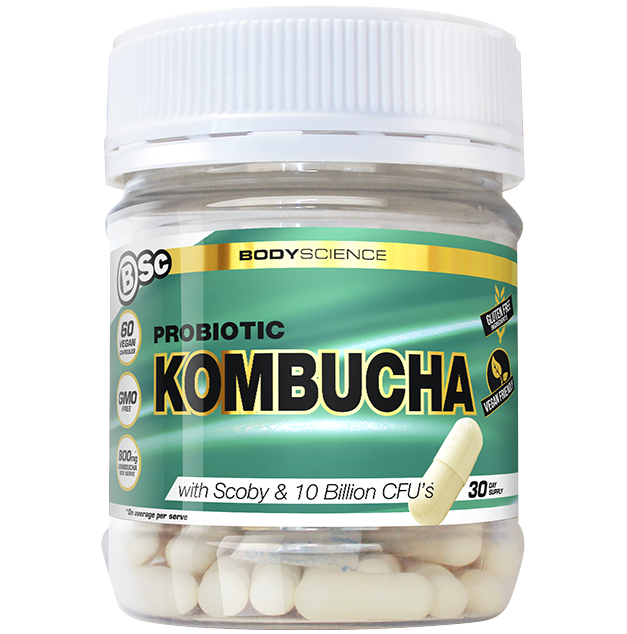 Kombucha is a supplement that is gaining more attention and there are companies that are releasing specific kombucha products like Body Science’s Probiotic Kombucha capsule. At the time of writing, this product is the only one available but for those looking for a similar product keep reading below. BSc Probiotic Kombucha is packed with 100% raw Kombucha tea that are high in B vitamins, organic acids, healthy bacteria and antioxidants. It is an organic health supplement to help users improve gut bacteria and is packed with Scoby (Symbiotic Culture of Bacteria & Yeasts) to maximise gut health. Kombucha is not only known to help improve digestion but offers the benefits of reducing inflammation and support weight loss. 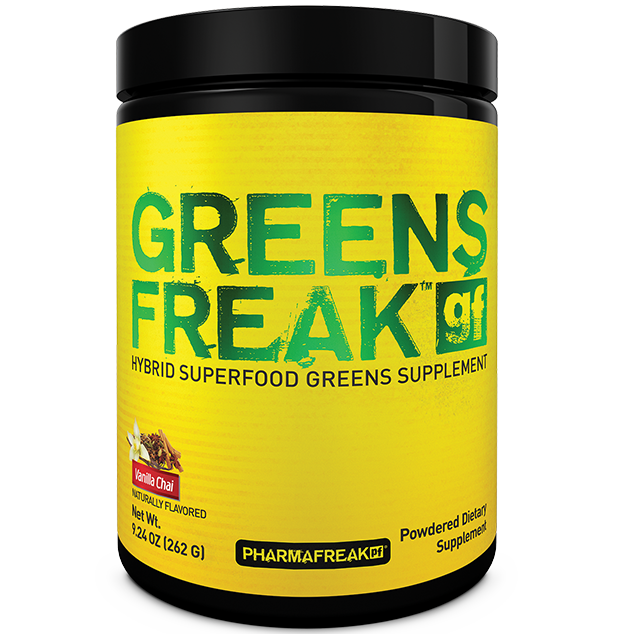 PharmaFreak Green Freak is a superfood blend that provides a massive antioxidant boost. Like kombucha, antioxidants can prevent liver damage and improve overall health, as well as improve recovery from exercise. It is packed with nutrients that help support the immune system and the adrenals in the body. Additionally, it contains detoxifying milk thistle, digestive enzymes and a probiotic blend that will ensure optimum digestive and metabolic health. This supplement is some comprehensive all- round health tonics on the market. There are also a number of natural supplements that can provide benefits similar to kombucha without the safety risks. Elemental Massive Muscle Fuel - Kombucha is said to increase vitality and energy. What if you could ramp these up, improve mood and focus, and put on lean muscle at the same time? A natural testosterone boost could be what you're looking for. 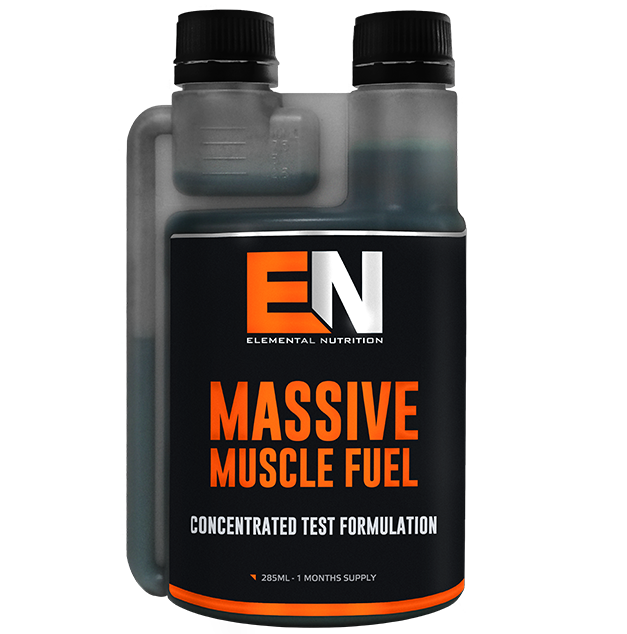 Totally safe and free of hormones, products like Elemental Nutrition Massive Muscle Fuel can put spring in your step, with a combination of plant based ingredients and naturally occurring amino acids that have been scientifically proven to help men maximise their own body's capacity to produce testosterone. (1) Vīna I, Semjonovs P, Linde R, Deniņa I. Current evidence on physiological activity and expected health effects of kombucha fermented beverage. J Med Food. 2014 Feb;17(2):179-88. (2) Afsharmanesh, M., and B. Sadaghi. "Effects of Dietary Alternatives (probiotic, Green Tea Powder, and Kombucha Tea) as Antimicrobial Growth Promoters on Growth, Ileal Nutrient Digestibility, Blood Parameters, and Immune Response of Broiler Chickens." Comparative Clinical Pathology (2013): n. pag. Springer Journals. Web. 13 Apr. 2014. (3) Perron AD, Patterson JA, Yanofsky NN. Kombucha "mushroom" hepatotoxicity. Ann Emerg Med. 1995 Nov;26(5):660-1. (4) Ernst E. Kombucha: a systematic review of the clinical evidence. Forsch Komplementarmed Klass Naturheilkd. 2003 Apr;10(2):85-7. (5) Phan TG, Estell J, Duggin G, Beer I, Smith D, Ferson MJ. Lead poisoning from drinking Kombucha tea brewed in a ceramic pot. Med J Aust. 1998 Dec 7-21;169(11-12):644-6. (6) GT's Kombucha – The Story Behind the Bottle. http://synergydrinks.com/index.php/our-story/#the-story-behind-the-bottle. Accessed 19th June 2014. (7)American Cancer Society. Complementary and Alternative Medicine – Kombucha. http://www.cancer.org/treatment/treatmentsandsideeffects/complementaryandalternativemedicine/dietandnutrition/kombucha-tea. Accessed 19th June 2014.